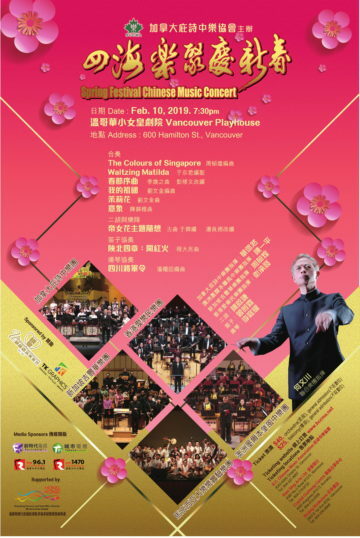 On May 14 Monday, BCCMA will invite Dr. Jia Li to perform a recital at Vancouver Norman Rothstein Theatre. Dr. Li got his PhD degree from China Conservatory of Music under the supervision of Dehai Liu, a reputed Pipa master in China. As the first doctorate majored in Pipa performance, she is currently Lecturer at China Conservatory of Music. Over the past few years, Dr. Li has presented a large number of concerts overseas and cooperated with many world famous orchestras, including Orchestre National De France, Stuttgart Radio Symphony Orchestra, BBC National Orchestra of Wales. 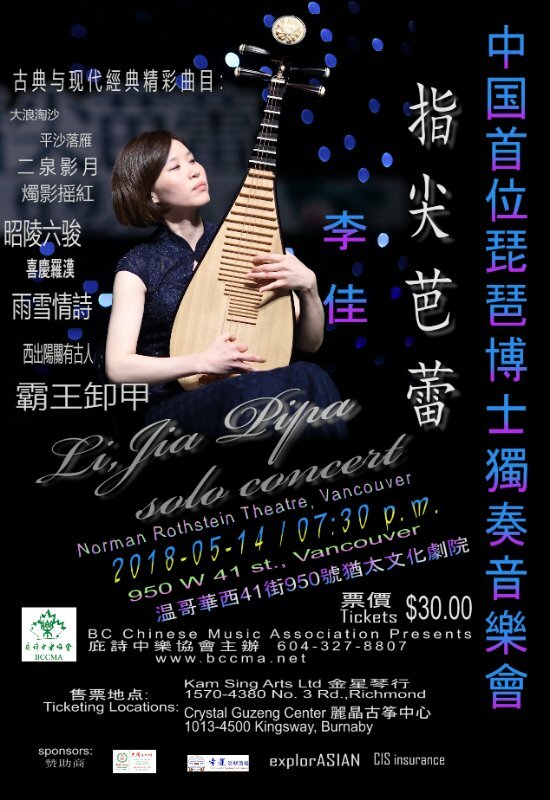 In this recital, she will play both traditional and new pipa solo pieces– The Emperor Discards His Armor, Reflection of the Moon (the pipa version adapted from the most famous erhu piece under the same name), Gold and Sand, Wild Geese Descending on Sandbank, and many others. Audiences will be astounded by Li’s top performance skills on this traditional lute-like instrument with a history of over two thousand years.